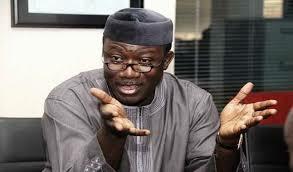 Governor Kayode Fayemi of Ekiti State and Chief Executive of the Benin Electricity Distribution Company (BEDC), Mrs. Funke Osibodu, have assured Ekiti people that power supply would be restored to Ikogosi-Ekiti, Erijiyan- Ekiti and Ipole-Iloro Ekit by mid-December. The companyâ€™s boss gave the assurance to Ekiti State Government during a meeting with Governor Fayemi at the Governorâ€™s Office, on Tuesday. A press statement by the governorâ€™s Chief Press Secretary (CPS), Yinka Oyebode, said the BEDC boss stated that arrangements had reached advanced stage and that the three communities would have their power supply restored on or before December 15. The meeting which also had in attendance top officials of the Ekiti State Electricity Board, was called to work out an arrangement for improved power supply across the state. Government is also working out an arrangement with BEDC for a more efficient power supply to enable it power the street lights for about 10 hours a day as against the present situation where street lights are on for just about three hours daily.